On Wednesday, the first of 240 girls' matches will kick-off at the U.S. Soccer Development Academy Winter Showcase. Academy teams from the U-15 age group, a pilot U-16 group, the U-16/17 and U-18/19 age groups will square off at the Premier Sports Campus in Lakewood Ranch, Fla. Each team will play three matches, hand-picked by the Development Academy, against clubs they normally wouldn't face in the regular season. Throughout the week, the U.S. Soccer Development Academy will stream a number of feature games, highlighting some of the best teams in the country to provide a glimpse of the quality on display at the Winter Showcase. The Feature Games will be live streamed on ussoccerda.com, the Development Academy Facebook page, the Development Academy Twitter and U.S. Soccer's YouTube channel. The Reign Academy is having a strong start to the season in the Northwest Division. The Seattle-based side is conceding less than a goal-per-game and has already kept four clean sheets in just 10 contests. Ella Johnson has started every game on the back line and pitched in with two goals. Ruby May is also a big reason for the Reign's staunch defense. Despite being a 2005-birth-year player, May has appeared in the defense in all 10 matches. At the other end, there is no goal-scoring burden for any one person as six different Reign players have found the back of the net this season. Avery Libed leads the charge with six goals and comes to Florida on a hot-streak with three goals in her last two matches. 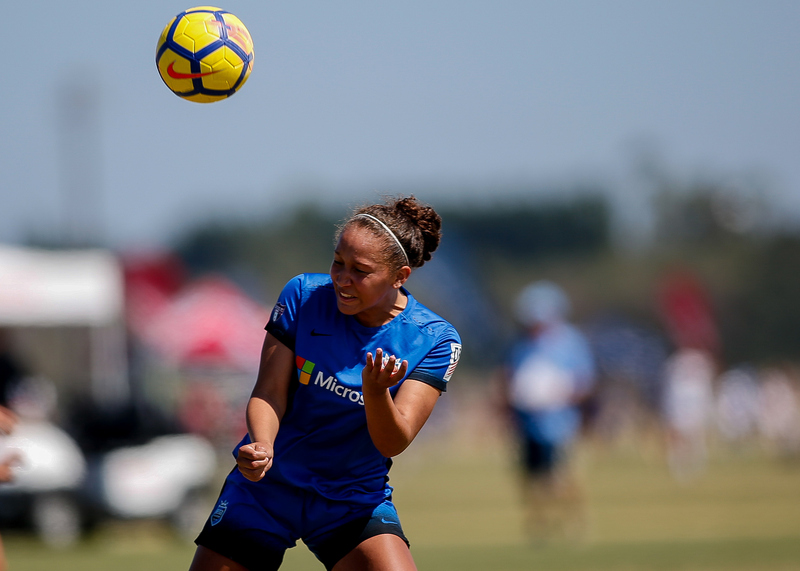 These Reign players harbor dreams of working their way up the pyramid in order to one day feature for the professional side in the National Women's Soccer League. In assistant coach Beverly Goebel Yanez, they have a current member of the Seattle roster to look up to and learn from. Combine the desire to one day play for the first team with good form and the fact that the Reign have traveled to Florida to play in a Feature Game and you get all the ingredients for a side that is in no need of extra motivation. The Nationals have quickly established themselves as a Development Academy club that combines a blue-collar work ethic with an esthetically pleasing version of "total football" where players are constantly interchanging positions. When the U-16/17s made it to the national championship last year, an opposition coach remarked that against most teams, you know who the top players are and where the danger is going to come from, but when you play the Nationals you never know exactly how or where they are going to cause you problems. Under the guidance of Jeremy Harkins, this U-15 side is no different than its older peers whose success they are trying to emulate. Just like the Reign, the Nationals U-15s are in a strong position near the top of the table in their Mid-America Division. They are also giving up less than a goal per game with five shut-outs and have scored a dizzying 41 goals in their first 11 matches. Forwards Lauren Klusek and Francesca Mudd have shared 24 goals between them, while Emily O'Malley has chipped in with six from her midfield position. The Nationals are also getting a boost with the return to the game-day roster of Lenah Scicluna. The midfielder has been cleared to play after suffering an ACL injury last winter. While the feature game may be too soon for Scicluna to make her season debut, it's good for Harkin to know that he has another quality player he can count on for productive minutes over the three matches at the Winter Showcase. The teams are evenly matched both in style and statistics in what should be a fun game in which a moment of magic may make the slim difference.